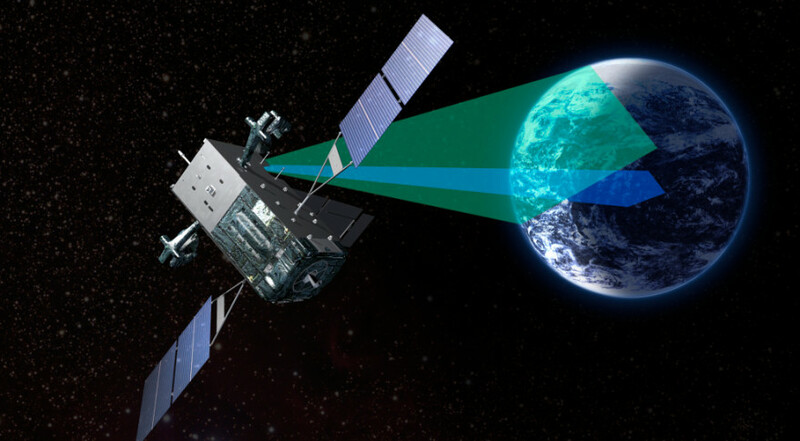 The U.S. Air Force's upcoming fifth and sixth satellites in its missile warning constellation will have a new satellite bus, Lockheed Martin's A2100. Credit: Lockheed Martin. WASHINGTON – The Air Force announced May 26 it is adding $45.99 million to an existing Lockheed Martin contract for construction of two missile warning satellites. The contract covers construction for SBIRS GEO Flight 5 and 6. The previous satellite, SBIRS GEO 4, is scheduled for launch in November. The Air Force is obligating $12.19 million in Fiscal Year 2017 space procurement funds at the time of the award, the service said. The SBIRS missile warning constellation is one of the top programs the Air Force is hoping to bolster in its budget request for fiscal year 2018 that was published May 23. The service is requesting an additional $862 million compared to its 2017 budget. The money will be used to finish production of SBIRS GEO 5 and 6, support launch and operation of SBIRS GEO 4, provide cybersecurity updates to the system and lay the groundwork for a potential SBIRS GEO 7 and 8, although no official acquisition plan has been announced.